The day was cool and foggy. 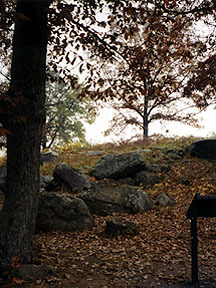 It gave the battleground a haunted feeling. It took us 4 hours to walk this event because we stopped to read so many of the marker. Very impressive memorials to the victors. 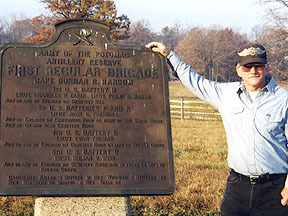 Just one of many historical markers. 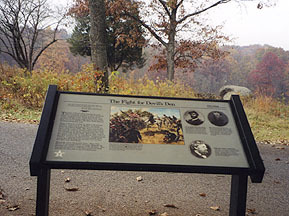 Placard tells of the Texas and Georiga units taking Devil's Den. 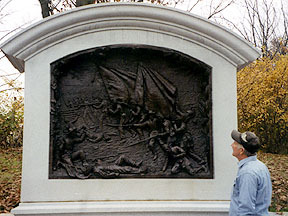 Memorial to the Delaware Army.